At First Impressions Printing, Inc., customer satisfaction is our focus. 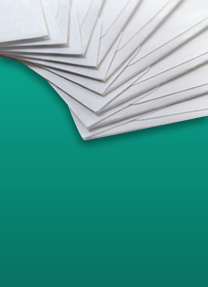 We have been serving the wholesale printing industry with our full service envelope manufacturing capabilities for decades. We ensure the success of our trade customers by providing high quality custom envelopes, professional stationery, direct mail pieces, and other printed products. Our printing facility is centrally located in the San Francisco Bay area in order to process and deliver print projects quickly and efficiently to our local clients. You are the most important part of our business! First Impressions Printing, Inc. takes a personal approach to all of our customer interactions. We take the time to get to know each of our clients in order to develop a lasting business relationship. With our dedication to customer service and product quality, you can trust First Impressions Printing to help you meet the high standards your customers expect. We have the industry experience, specialized equipment, and quality control to ensure that every order is completed on time and to the custom specifications required. Contact the First Impressions Printing customer service team today to discuss your printing needs. We invite you to build a long-term relationship with a printing company that you can trust!